We are proficient in manufacturing Geocells. Our Geocells are made using high-quality polymer material. Geocells are designed for protection and stabilizing applications. 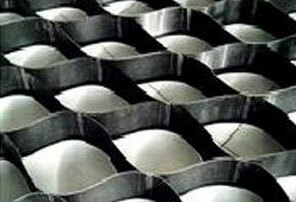 We offer Geocells which help in enhancing the performance of material used in construction and soil-erosion treatments. Our Geocells are durable and highly efficient in their field of operation which makes us a well-known Manufacturer, Exporter & Supplier of Geocells in Maharshtra, India.